Want to feel super smart? Learn programming basics while solving these brain-teasers. There’s a growing movement amongst parents and educators that suggests that all children should learn basic coding in school. True, young kids might not aspire to be programmers or create the next big startup, but the benefits of learning how to code go beyond just knowing how to build software: It opens minds to problem-solving techniques and will help the children of today navigate tomorrow’s technology-focused future. Surprisingly, games are helping to make the process of learning programming basics both enjoyable and effective. Minecraft has been a leader in this space, releasing a series of tutorial missions for the Hour of Code challenge, and an official Education Edition of the game is available. 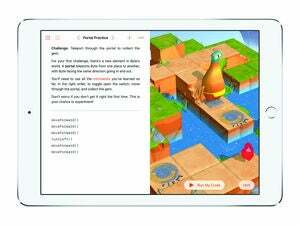 Even Apple is getting in on the instructive fun with Swift Playgrounds, which just appeared in the iOS 10 beta and teaches the Swift programming language with a blast of colorful fun. Human Resource Machine is another game that follows that philosophy, but the grim corporate setting and oft-monochromatic visuals aren’t built for kids—this one’s bound to get more mileage out of adults. 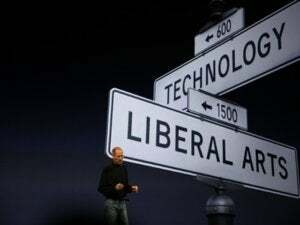 But that’s great, too, since anyone can benefit from an opportunity to learn something new, and you might even unpack your mind a bit by immersing yourself in programming techniques. Plus, you can play it right on your iPhone or iPad (or Mac) whenever you have spare moments. The drag-and-drop commands start off pretty simple, but these are only the basics. Ready to enter the Machine and emerge a smarter person? 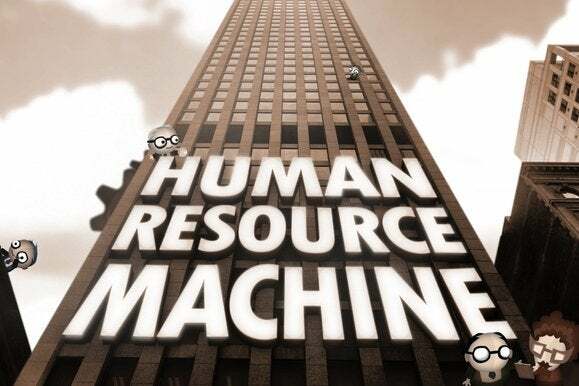 Here are three reasons why Human Resource Machine’s clever approach is well worth experiencing. You’re learning the whole time: Each stage gives you an objective to solve, and it always revolves around transferring items from an inbox on the left to an outbox on the right. Easy enough, right? Well, not with the inane commands of your new boss on each new floor of the towering headquarters, which inevitably throw a wrench into your plans. That’s where programming comes into play. You’ll gradually learn more and more core commands, like copyfrom, copyto, jump, and jump if zero, and the game eases you into their uses as well as it can for a visual tutorial meant for total newbies. Luckily, the interface is an absolute breeze: You’ll drag and drop the commands into order to complete the task, such as sending all items that aren’t zero to the outbox, or creating a countdown of numbered tiles down or up to zero. It’s easy to make a hilarious mess in the code, but you should gradually learn from your mistakes with each new puzzle. 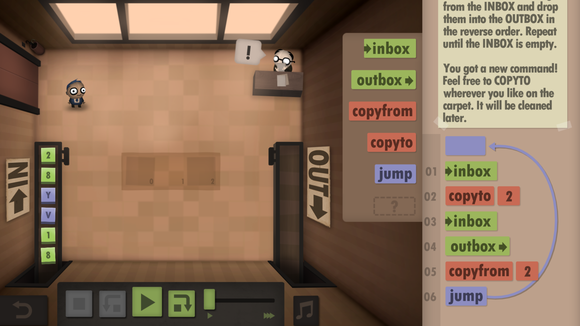 Human Resource Machine is a fun, yet challenging game, but behind the puzzles are the fundamentals of coding. By learning the logic to solve these challenges, you’re simultaneously priming your brain to learn real programming commands. It’s a really clever introduction to the basics. It scales to your level: If you’re totally new to programming, then Human Resource Machine will eventually get pretty complex and may be overwhelming. Luckily, you can tap the manager’s speech bubble in each stage to get an optional extra nudge on what to do and the kind of result you’re seeking. Ideally, you’ll keep hammering away at a puzzle and debugging it to find the solution, but don’t feel bad if you need to look up a solution online, especially if your goal is to learn. Already got the basics? 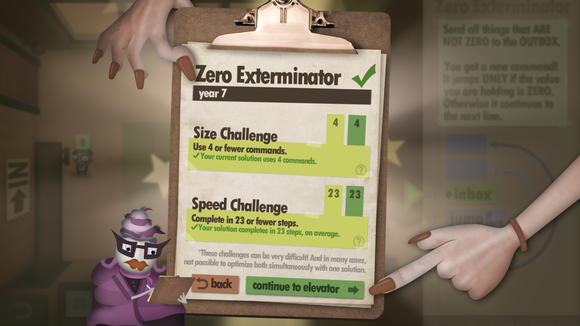 Human Resource Machine has optional challenges that test your ability to produce leaner, better-optimized code. 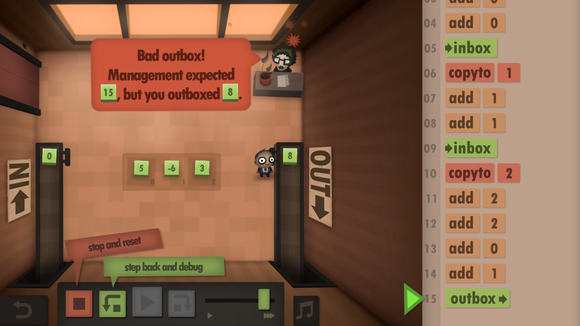 On the other hand, if you already know some programming basics and need more of a challenge, Human Resource Machine has some smart ways to increase the difficulty and push you to be a better coder. The optimization challenges task you with building code for each stage that uses as few commands and steps as possible, rewarding you for weeding out wasteful lines. It’s quietly funny: You’ll begin Human Resource Machine as the lowest-level recruit in some faceless, joyless corporate hellhole. Each stage represents a year in your career as you navigate from the Mail Room to the Busy Mail Room, Copy Floor, and later to the Maximization Room, String Storage Floor, and Vowel Incinerator. All the while, your overlords prod you with terrible research insights and your clueless coworkers enjoy their fleeting moments of solace amidst the endless grind. 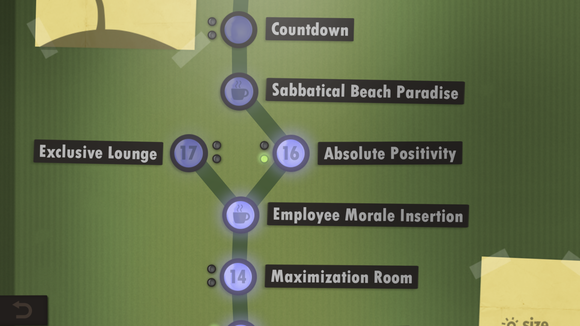 Human Resource Machine quietly pokes fun at corporate drudgery as your career eventually comes to an unexpected conclusion. Human Resource Machine shares both a visual style and sense of humor with the creators’ earlier games, the brilliant puzzler World of Goo and curious fireplace simulator (yes, really) Little Inferno. 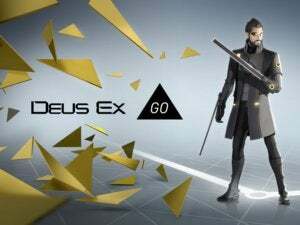 While this game might have a bit more underlying purpose than its predecessors, the subtle bits of personality are a winning touch. And they go a long way towards making this inventive lesson a fun one too.